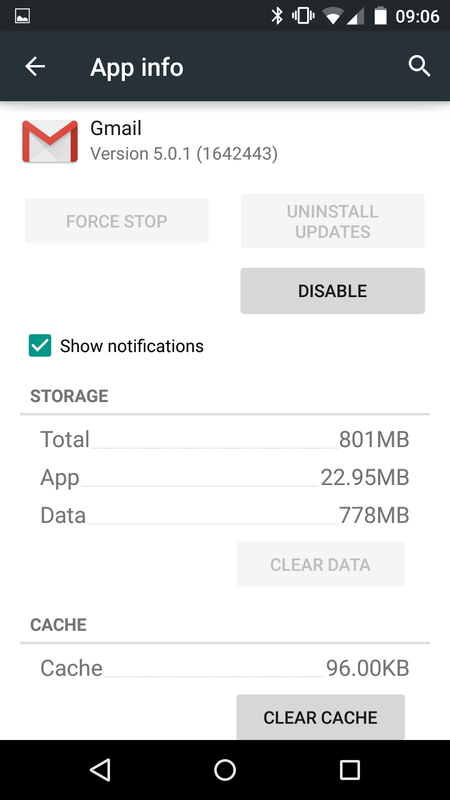 I've had problems with the battery life on my Android phone recently. It's a Google (LG) Nexus 5. A phone I very much like. I assumed the battery was getting old as there was no obvious culprit to the battery drain. It took me a while to realise that Gmail should not be permanently at the top of the power usage graph! I had a look round at other e-mail apps but none of the ones I tried were able to have different incoming and outgoing mail server settings which I prefer to have as I use my own domain for mails but Outlook.com to store them. Outgoing mails look better without the 'sent on behalf of' message that Outlook.com adds with my type of setup! As I was sticking with Gmail I made a change to the setup. I set the sync frequency to the maximum hourly. That did not help. After a very quick search I found that Gmail is being accused by others of having battery issues. Several suggested clearing the cache. Easy to try just click the button. There were no apparent changes to Gmail or its setup. I did that yesterday morning. For the past day Gmail has been well down the list of power using apps so I am hopeful that was the problem. Edit: I have also just changed the location services so they do not use the GPS. 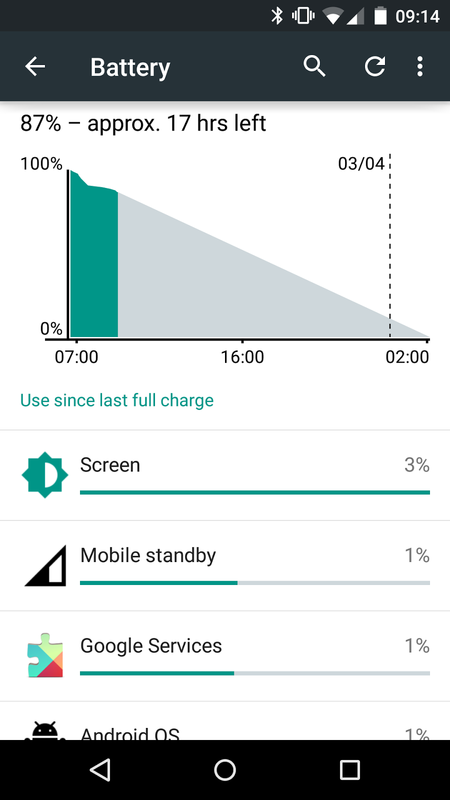 The second biggest battery drain after the screen was the GPS.